Email marketing has become an essential tool for business ever since the introduction of the Internet to the world, however some campaigns that make it through to our inboxes are absolute rubbish that we don’t take any notice of. Email marketing best practices include developing your own email list rather than buying an email list(s), and making participation in your email list opt-in rather than opt-out (using permission-based email marketing). Email should also be optimized for mobile usage as according to statistics over half of emails are opened on mobile devices. Ideally, email marketing should go hand-in-hand with social media. Adding social media "Like" or "Share" buttons to your marketing emails gives an additional way for customers to connect with your brand. Snippets of positive reviews from social media fans can be included in emails, and conversely social media postings can be used to encourage fans to subscribe to your email newsletters. Email marketing can substantially increase your income if you do it correctly. (See the tips below.) It's a great way to get people to visit and/or revisit your website or blog and more traffic usually equates to more income. Build your own list. This has already been mentioned but buying email lists is a waste of time. All you're going to do by sending unsolicited email is turn off most of the people you're hoping to turn into customers and run the risk of being labeled a spammer. The rules include having a non-deceptive subject line, a method of unsubscribing, and your name and address at the end of the emails. Don't just send out ads to buy all the time. Use your emails to build rapport with customers by sharing your expertise and/or that of others, giving them tips and insights they can value. Share information that lets them know more about you and/or your company if it's interesting. Treat your list well. Remember that the people you're using email to communicate with have trusted you with their email and name; they deserve your respect. Just as you deserve as chance to convert them from customers to fans and even evangelists for your brand, people who want to talk about and share your message and get involved in any way they can. Stick to a schedule if you're doing a newsletter. Sending email on a regular day or days can help your subscribers know what to expect from you and when. We as “SSS DIGITAL MARKETING SERVICES” TEAM will work with you to enhance your current email campaigns, or help you to begin using email as part of your digital strategy. 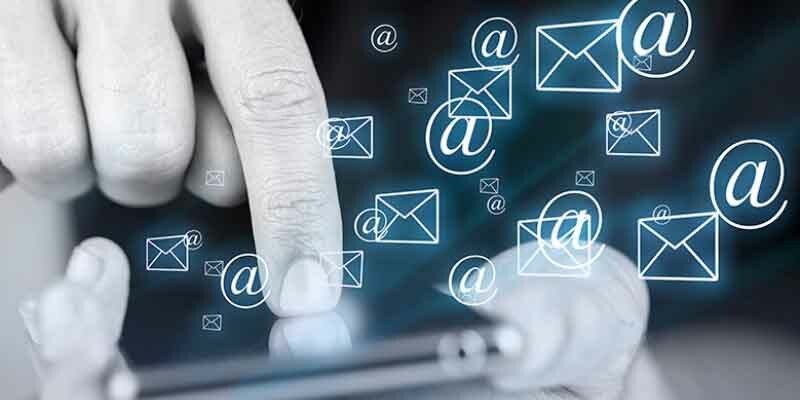 We create a complete Email Marketing Strategy keeping in mind the requirements and existing brand value to deliver a Cost – effective and reliable Email Marketing Solution for your Business Websites. Cost – Email marketing is CHEAP, there are no two ways about it. Whether you do it yourself, or through an email marketing agency, marketing to hundreds of consumers via email is going to cost you tiddlywinks compared to other channels of advertising. Success – Emails can be targeting specifically to the ideal consumer. With this concept in mind, along with email cost-effectiveness, it’s no wonder that email marketing’s ROI often blows other direct marketing strategies out of the water – The trick is that you have to get it right! Measureability and Flexibility – With the analytics available today it’s easy to track responses to your emails exactly, in order to work out what parts of your campaign are working and what parts aren’t. With this knowledge, you can then react instantly to modify your campaign strategy if need be.